The mail exchanger (MX) records are DNS entries that indicate where email is being processed. If you are using the default settings for both hosting your website and handling your email, then you don't need to change the MX records. However, if you intend to keep your old email service after moving your website, or if you want to use a third party service (e.g. Gsuite, Microsoft Exchange, iCloud), then you will need to make changes to the MX records. Previously both MX records and Email Routing where handled in one interface, but with the current updates to cPanel, this functionality has changed. MX records are handled in the Zone Editor, while Email Routing is managed in the Email section of cPanel appropriately called "Email Routing." Follow the instructions below to familiarize yourself with making MX record changes in the Zone editor. Scroll down to the Domains section of cPanel and then click on Zone Editor. If you want to review the changes to your MX records, go back to the main page of the Zone Editor (where you selected the domain) and click on Manage. If you want to isolate just the MX records, click on MX in the filter line. 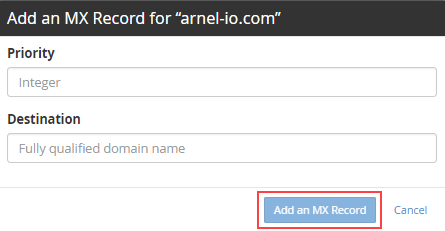 Select the domain where you need to change the MX records and then click on Manage. 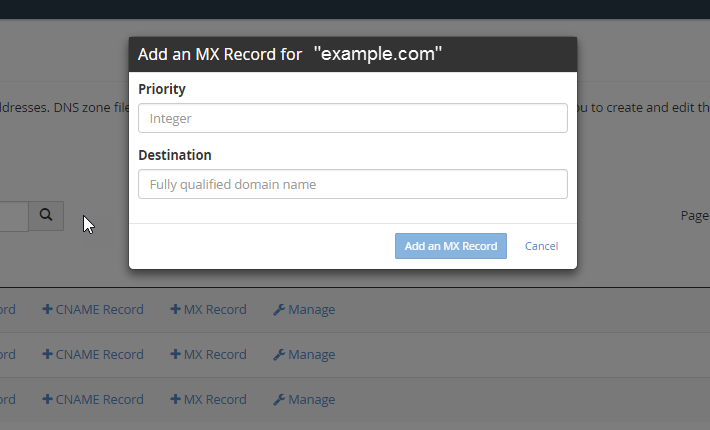 Filter the records to show only the MX records by clicking on the Filter option labeled MX. Find the record that you wish to change and click on Edit in order to make the necessary changes. Click on the Save Record button to save your changes. You now know how to set and edit your MX records using the Zone Editor. 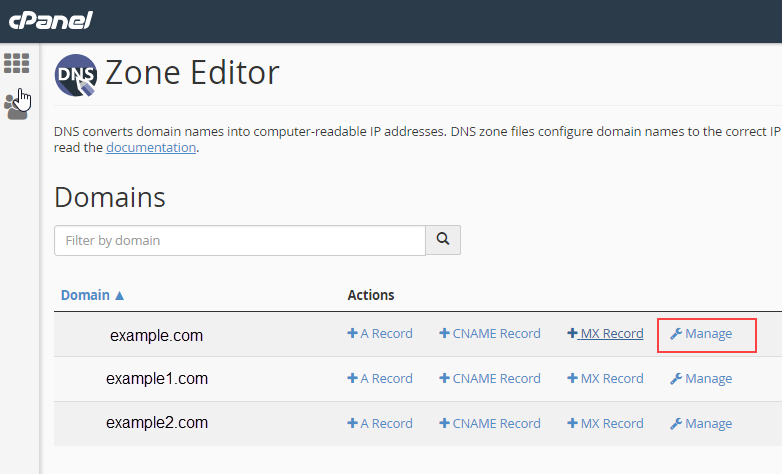 For more information on using the Zone Editor, please see Using the Zone Editor in cPanel.